This mod will be developed for a long time, during the development something new will be added. Why my troops does not move to an uncolonized province? I started with a tribal civilization. When I got to 3.5 technology, I evolved it into a monarchy. From that point, I realize that I can only move my troops within my provinces, unable to invade an uncolonized province. How to solve this problem and why is it caused? When y﻿ou've been playing for a while, the opinions of some countries all of a sudden turn to zero. Even after trying to improve relations or after insulting the country, the opinion "counter" stays on zero.This is quite annoying, if your main tactic is forming alliances or annexing countries. The game still works, but the main factor which i enjoy the most is no longer there, which really takes a toll on how fun the game is. A fix or an explanation how to fix this is, is always welcom﻿e. 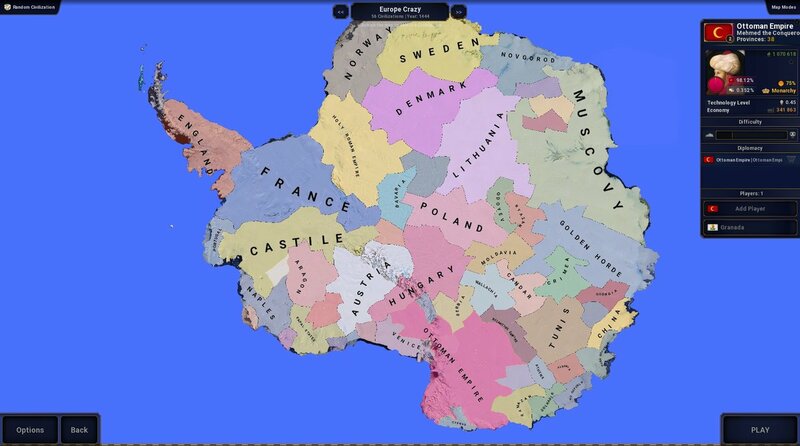 Hey guys this is my first mod, have all 26 governors of Brazil! ´Please give me a feedback. 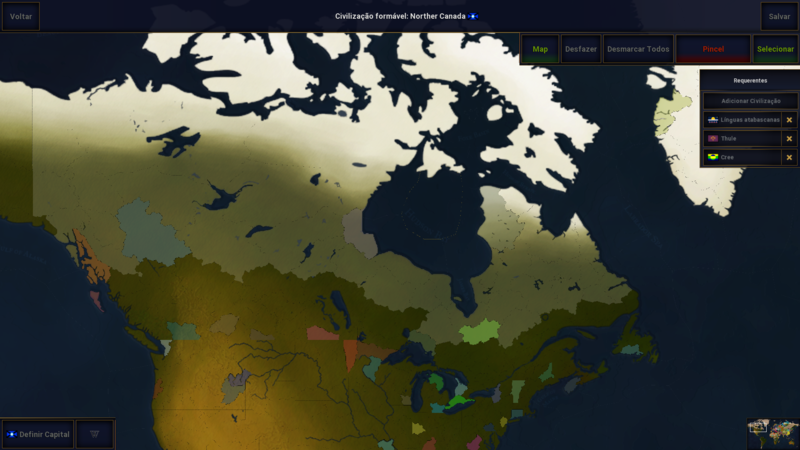 ONCE I FINISH THE REGIONS ABOVE I WILL PUT ALL OF THE PROVINCES INTO THE MAP EDITOR AND WILL CREATE A PLAYABLE MAP FOR ALL OF THE PROVINCES UP UNTIL THAT POINT! This bug (i hope) has made it impossible for me to edit a current active custom made leader using the in game editor when you create a leader you put name, date of birth, the level of skils you want your leader to have, assigned country and the Image the leader uses then you press save. I would then assume that it would be added to the list of leaders so i could edit them later but when i search for them they are not there but the leader does exist i loaded up a game with a custom civ and leader and the leader and there skills and picture appeared but i could not find them in the leader list to possibly edit them in the future. Are U Will Make A Aoc3? 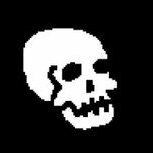 So I have an ally, +100 relations with that ally, and my attempts at uniting with said ally probably number in the double digits. Hi guys, back with a new scenario. 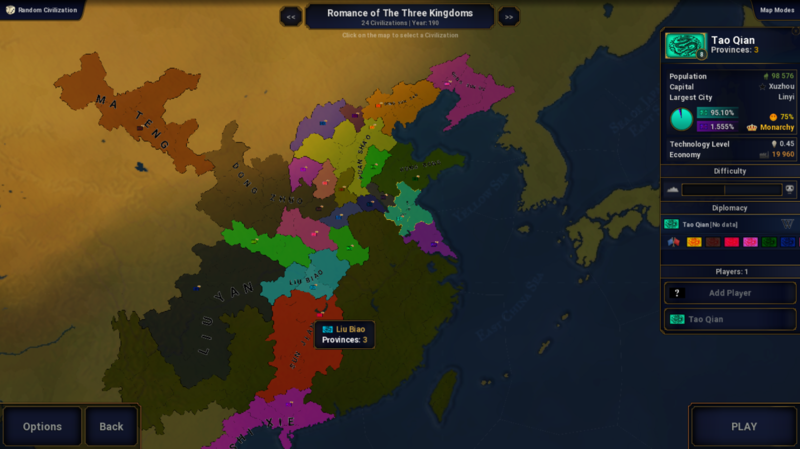 This time is Romance of The Three Kingdoms: Coalition Against Dong Zhuo. 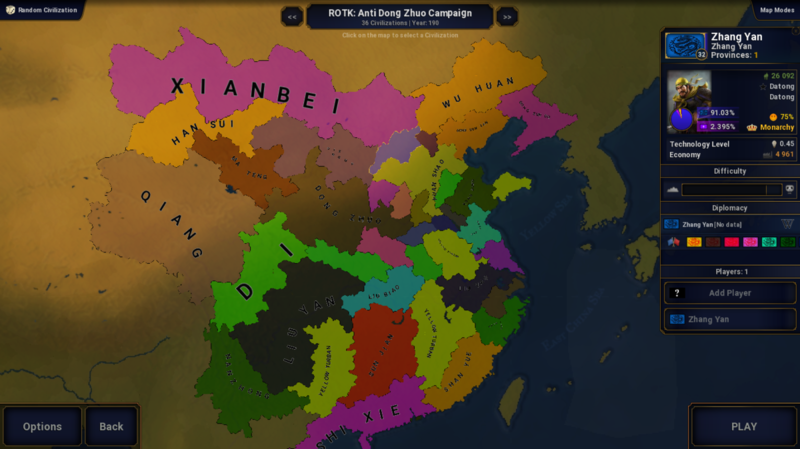 Set in the fall of Eastern Han Period. Still in beta version as I need to add faction leader pictures. But it will take some time for the final release. 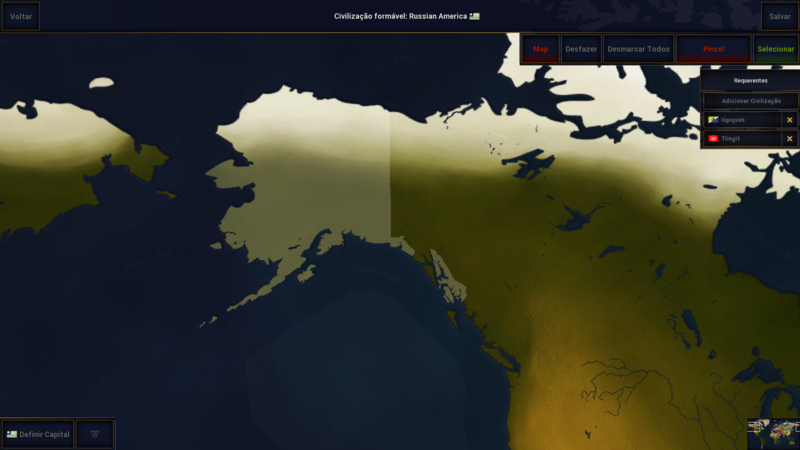 Below is the map and link for both civilization, scenario and flag. As for flags_editor.rar, just extract and replace it with the flags editor. 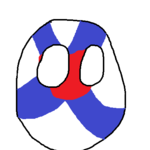 It gives one new flag which is the flag used in this scenario. But I do need your help to improvise this scenario especially the events cause I'm still struggling on the events. 7. 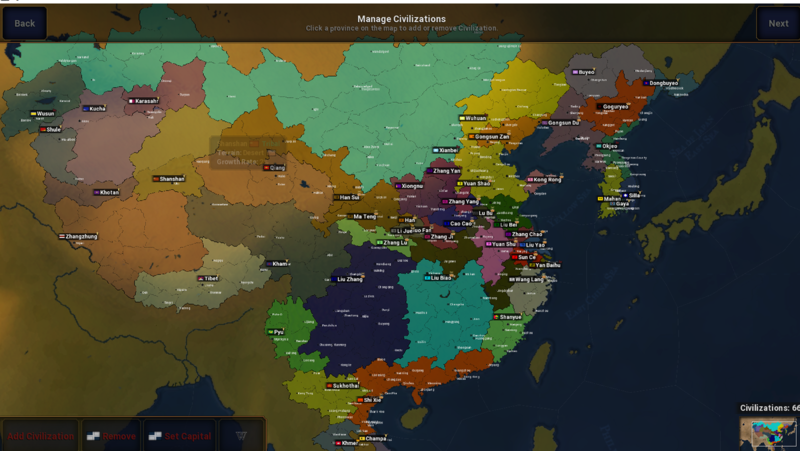 In game map folder (steamapps\common\Age of Civilizations II\map) copy template (and rename it), and clear "cities" folder. 12. 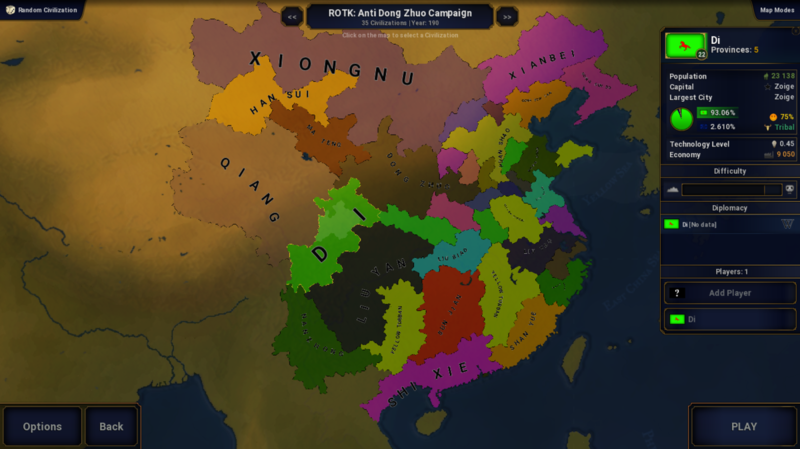 Run game and go to Editor>MapEditor>EditConnections and Provinces>Update every province you added. That's very weird lmao. Just make it trigger by opinion. Post in Luxembourg Challenge ??? I decided to start creating large Earth Scenarios on the small earth. Using the 1440 map as a guide, I made a small version of the 1440 map. I plan to recreate small versions of every FULL WORLD start dates. Maps that don’t have the full world is a lost cause. They would be way too small. Sadly, this is android, and if Lukasz doesn’t give an ability to release scenarios from android, then there will be no way for me to release it. 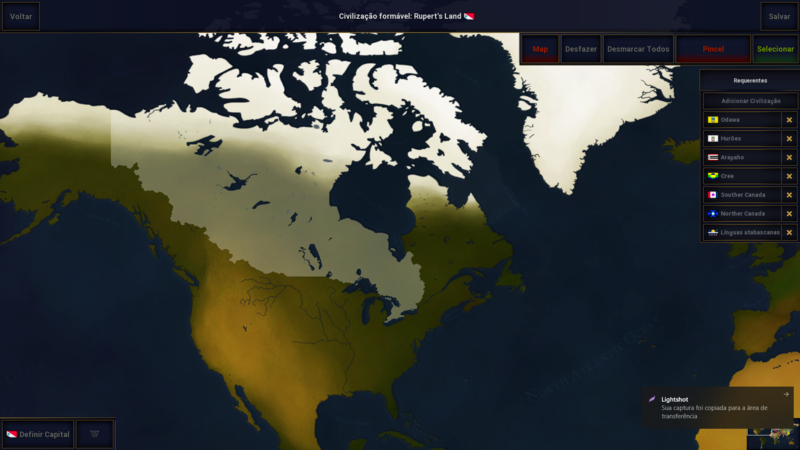 Also, I fixed Native American placements, it just isn’t shown in these pictures.